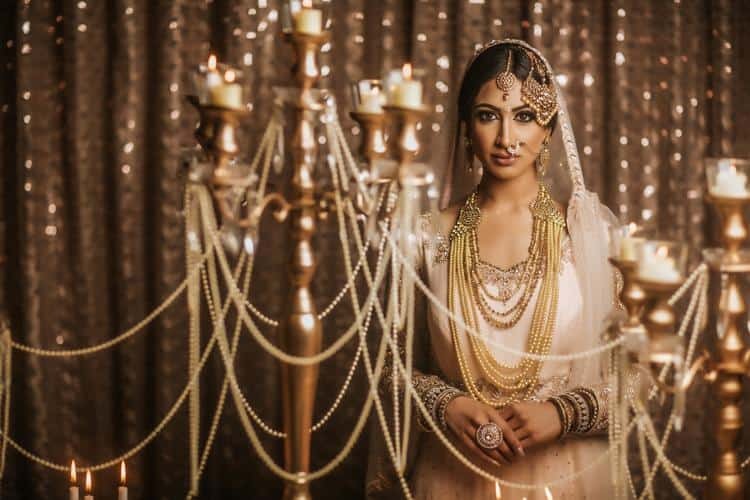 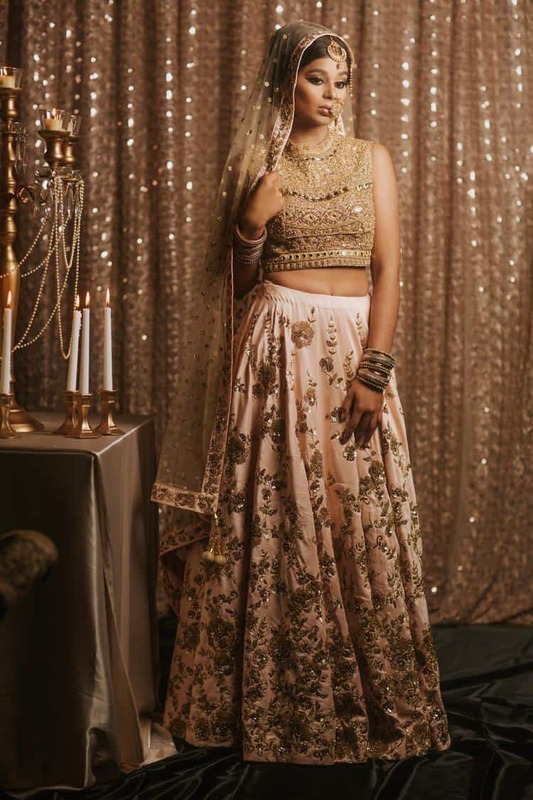 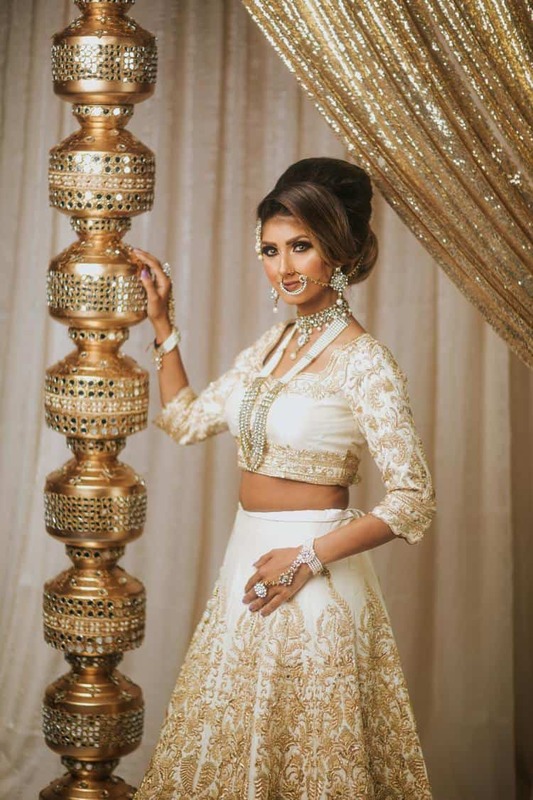 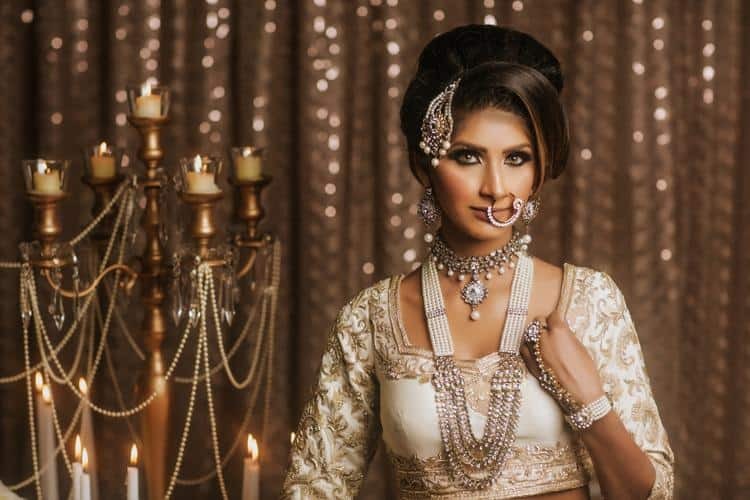 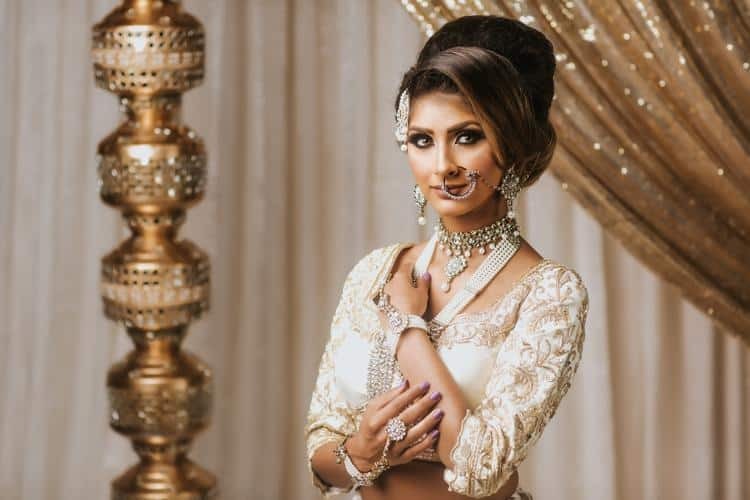 Jessie Khaira Events designed an Indian bridal gown photo-shoot fit for royalty with the help of Fine Pixel Studio, WellGroomed and Royale Libaas. 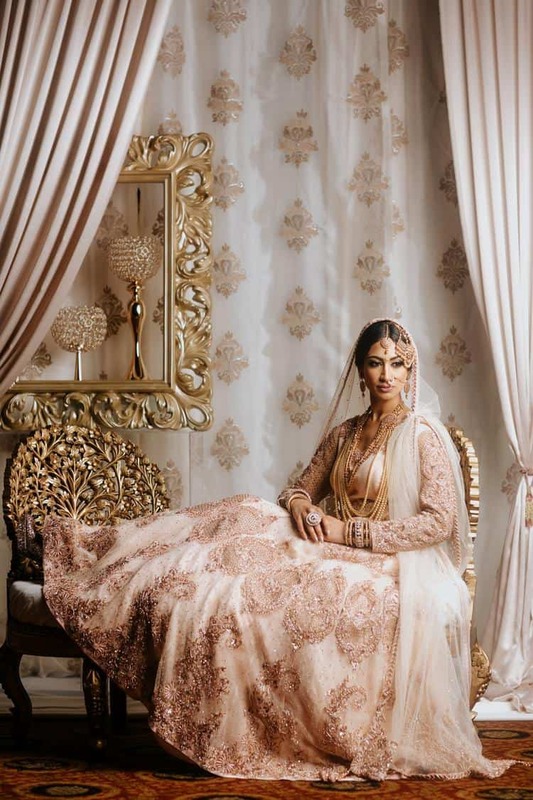 The concept is a royal home, where Indian brides are dressed in jewels. 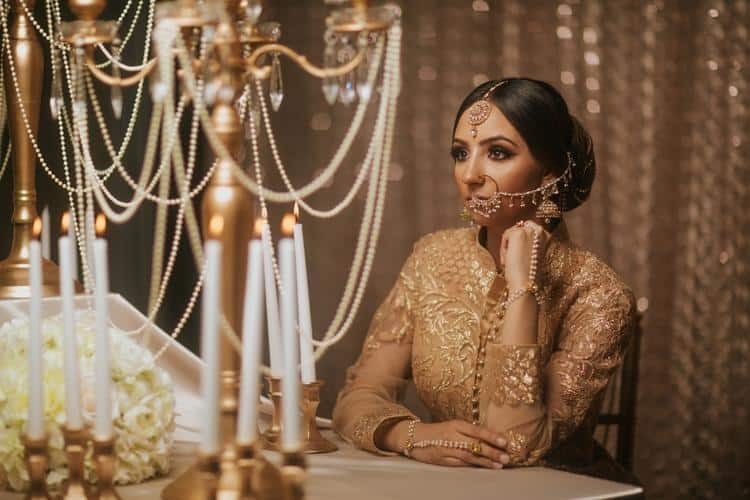 Inspired by a wedding mandap, Jessie pulled in ornate details including damask drapes (to mimic wallpaper), gilded frames, crystal candleholders with thin white candles and carved gold chairs. 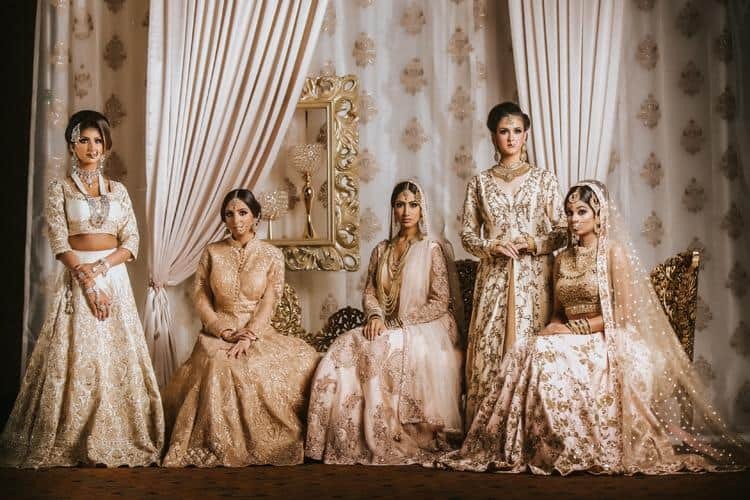 The various shades of gold create a vivid and richly hued backdrop that adds to the elaborate detail on gowns from WellGroomed. 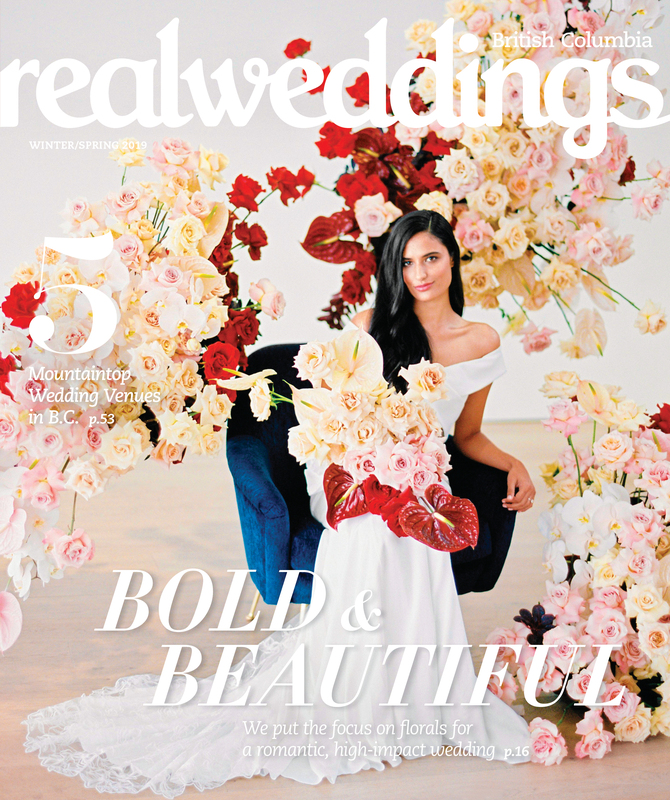 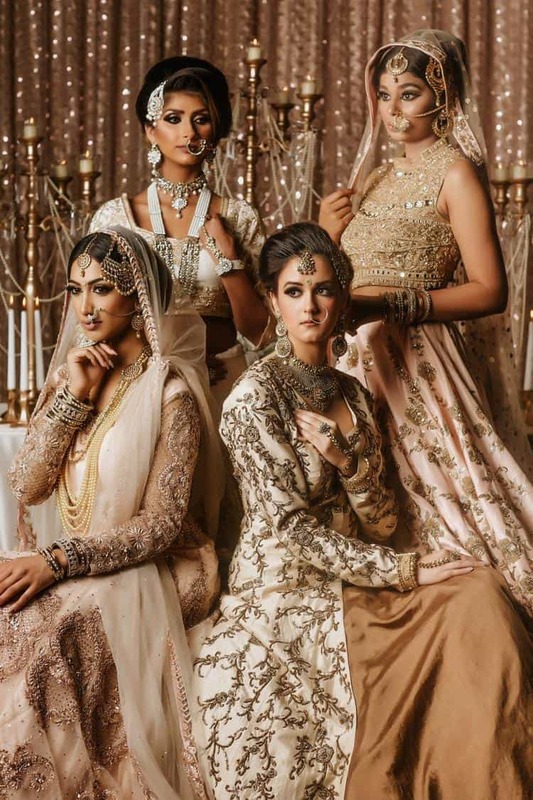 The gowns range from full-arm gilded creations with hook and eye and gold-leaf detail to bridal white and gold bridal separates and a floor-length veil. 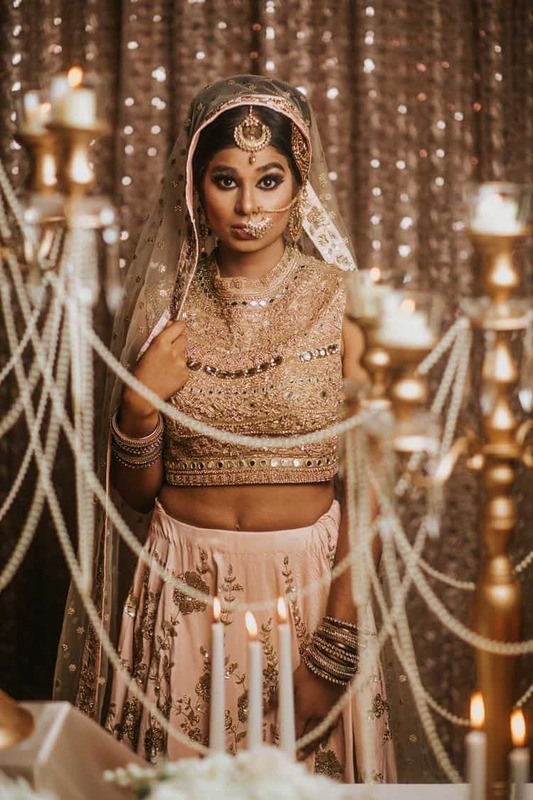 To pull together each look, Jessie relied on no fewer than five makeup artists, including Gurveen from Belle Femme Studio, Sharon from Made in London Studio, Sohal from Blue Rose Artistry, Kiran from Pristine Allure and Mona Sangha. 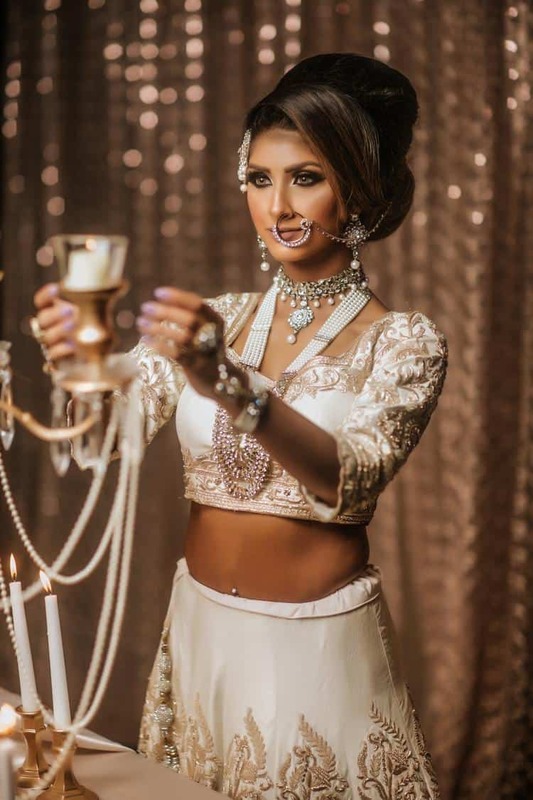 To pull in some western elements to transition the Indian brides into life in Canada, Jessie used mild hints in the décor; the pearl- and -candle setting symbolically introduced the brides to their new world. 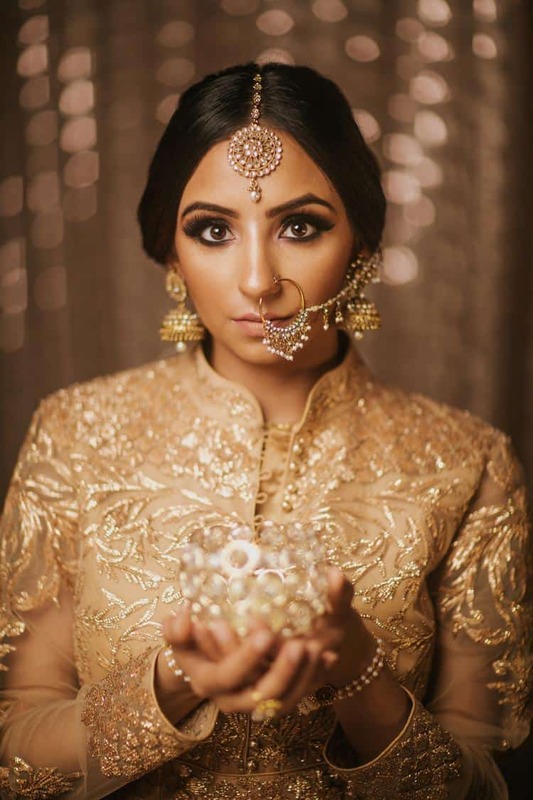 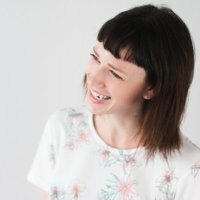 Jessie emphasizes that there are ways to maintain Indian traditions and heritage in a wedding, while adapting to Canadian customs. 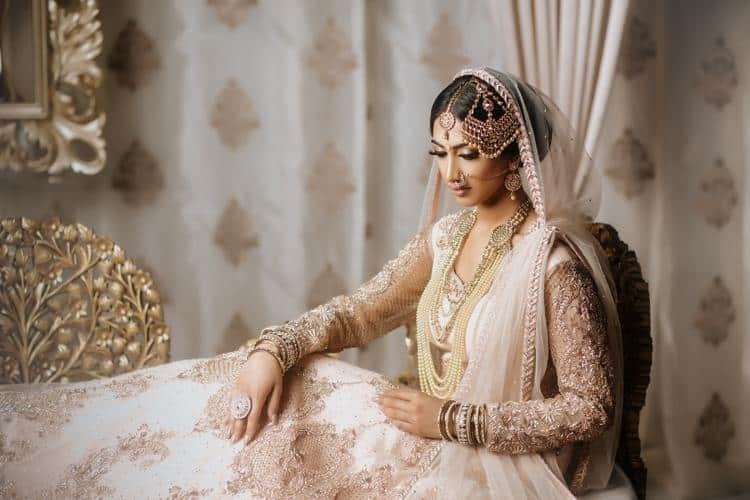 Weddings don’t always have to be bright and colourful—instead a soft, romantic event can be achieved, that’s equally spectacular.